Accor Le Club (the loyalty programme for hotel brands like Sofitel, Novotel, Ibis, etc) has just launched a new global promotion offering members up to 7,500 bonus points for completing 3 stays between 15th February and 11th June 2019. As you can see above, the stays each need to be for a minimum of 2 nights and to get the full 7,500 points, you must book all 3 stays before Tuesday 12th February. Even to receive 6,000 points, you must still book before 28th February 2019. Note that registration is essential and you can do that on the promotion page here. 2000 Accor Points gets you €40 off future stays, so 7,500 points are worth €150 (about £130). That works out as a rebate of £21.66 per night, if you completed precisely three 2-night stays, which isn’t bad at all if you have some cheap Ibis stays you need to book (or work is paying). If you normally spend £300+ per night at 5* Sofitels, getting £21.66 back is a less impressive bonus, but not terrible. Despite changes to the official terms, it’s also still possible in practice to convert Accor Points into Iberia Plus Avios at a 1:1 rate, meaning 7,500 Accor points would get you 7,500 Avios. Whether you think swapping £130 worth of hotel credit for 7,500 Avios is a good deal is up you you, but I wouldn’t be tempted. Remember that you can also usually get generous cashback rates (sometimes up to 15%) for Accor bookings via TopCashback or Quidco. 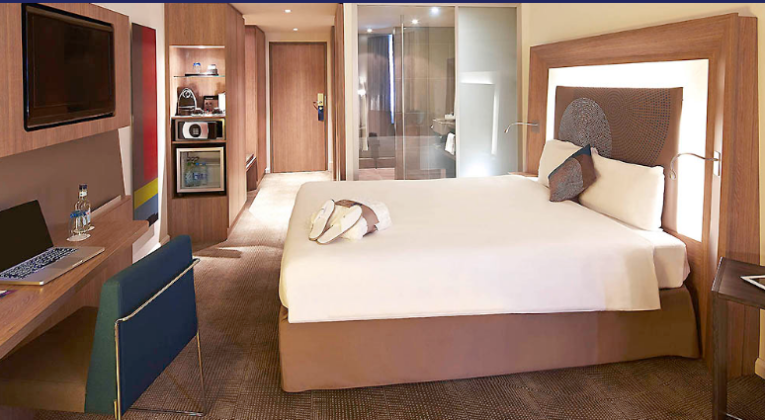 Are you tempted to book with Accor thanks to this promo? This offer is governed by the general terms and conditions of the Le Club AccorHotels programme. With you being an Avid SPG points collector , have they had any bonuses for buy SPG points since the merge ? SPG doesn’t exist any more. And as far as I can recall, Marriott has never discounted the sale of points. Fingers crossed that will change, but I wouldn’t wait around for it if you can get good value at full price.